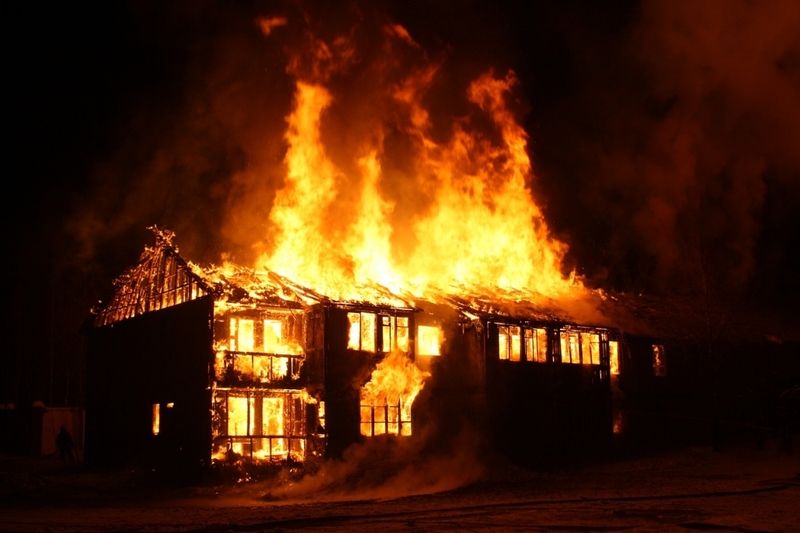 Fire is one of the most dangerous incidents that can happen in homes and businesses. Winter months often lead to spikes in fires due to mishandled heating methods. The heat is not the only culprit – inhalation of smoke, fumes, and vapors is also responsible for causing life-threatening damage to the people around it. The reduced visibility from this smoke also makes it difficult for people to escape the flames. Luckily, many of these accidents can be averted. Learning how to prevent these incidents can help you avoid risky situations that could put your home or business at risk. A smoke alarm system can give you an advanced warning in case of a fire-accident, allowing people to evacuate the premises harmlessly and timely. Early detection also enables emergency services to respond shortly to the accident. This can save lives, protect people from getting life-changing burns and prevent your property from being completely destroyed. It’s advised to replace the batteries of your smoke alarm twice every year in order to make sure they’re functioning ideally. Addressing fire hazards is very important in stopping fires, as it enables you to know where you should be extra cautious. Many of the kitchen items and ingredients you use every day can be dangerous without proper management. As a matter of fact, kitchen fires are the leading cause of fire-related damages. Kitchen equipment such as kitchen towels, wooden spoons, drapes, pot holders and many oven mitts are susceptible to catch fire. Ingredients such as cooking oil, milk, sugar, and flour are also inflammable. So, you should take extra precautions when using any of these items or ingredients near a stove or open flames, as they can easily catch on fire. Portable heating systems are not meant to be left on all the time and must be turned off and unplugged when not in use. Leaving them on for longer periods can bake the socket and start a fire. If you’re not sure whether your heating system is meant to be left on all the time, you can read the equipment manual or consult a professional electrician. Safe heating can save lives and shield the property from fire damage. For business organizations and homeowners alike, establishing a safety protocol to prevent fires caused by heating systems is crucial. It ensures that everyone within the premises is safe and protected. Stove and oven are meant to be used for kitchen purposes, and using them for heating the home can cause a fire. If used as a substitute for household furnace or heater, stoves can develop gas leaks which can lead to an explosion. These gas leaks can be fatal in themselves as they are toxic to inhale. Whereas, ovens have electrical components that can malfunction and cause sparks leading to fire. Routine maintenance of heating equipment is important to avoid fire hazards. Poorly maintained equipment may have loosened electrical connections, fluctuating voltage, and cracks or wear in the heating system. These problems can be disastrous and are likely to cause short circuits leading to the leakage of toxic fumes or open fire in your property. If a fire does happen, you should have a fire extinguisher handy. In case the fire spreads faster than you can extinguish it, you should know all the routes and exits to make sure everyone in the building abandons the building. You should also establish a meeting point not too far from home where you can account for everyone. If firefighters know that there isn’t anybody inside, they can use more effective ways to extinguish the fire. I totally agree that the kitchen equipment should never be used to heat a room. Like you said, there will be gas leaks that can cause a fire. I guess this is what my neighbor did because their heating unit is broken. They might have tried to use other things to give them warmth since they can’t have the unit repaired. Now, they have caught a small fire. My first call was a family who decided to use their oven instead of their heating system. I learned alot of fire damage and the causes that day.